Partner with Classroom Character to provide your school with the most innovative and up-to- date character education lessons. We have created, and continue to refine and evolve, character education lessons with the 21st century learner in mind. What does Classroom Character look like? Classroom Character combines three free educational technology resources to bring together relevant and interesting lessons tailored for the modern learner. All weekly lessons are created using Nearpod. Nearpod is an interactive presentation and assessment tool that can be used to amazing effect both in and out of the classroom. We create presentations that can contain quizzes, polls, videos, images, drawing boards, VR field trips, and other online content. 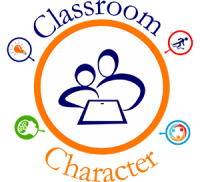 Feel free to explore these complimentary Nearpod lessons from Classroom Character. "Terry Fox was an ordinary man who did extraordinary things. Learn the story of a young person who lost his leg to cancer, but gained the admiration of a country through his grit, determination, and Never Give Up attitude." "The Deferred Action for Childhood Arrivals, or DACA, is an immigration policy that changed the lives of 800,000 Dreamers, immigrants who came to this country without proper documentation. Learn more about the policy and the people in this lesson focusing on how America’s diversity strengthens the nation." All of our Nearpod lessons contain an ELA component, usually in the form of nonfiction articles from Newsela. Newsela provides fresh, adaptive reads on every subject. We choose to use content from Newsela because the same article can be viewed and assessed on multiple lexile levels, and can be adapted to the needs of individual students if they have a Newsela account. We deliver brand new content to schools every week through the use of Google Classroom. Schools simply create a Google account for Classroom Character using Google Education Suite. This allows us to create and maintain the classroom. Each school designates one or more teachers, counselors, or administrators to be a co-teachers in the Google Classroom. This allows schools to work in tandem with us, as well as monitor lessons and student activity within the Google Classroom. How is Classroom Character structured? Every week, Classroom Character will upload a minimum of four resources for teachers and students to use. We then follow up the lesson with a WATCH, READ, and LEARN MORE activity to help spark interest and dialogue about what they have completed. We upload short video clips, articles or infographics, and then we provide students with an opportunity to expand on their knowledge, providing resources for students who want to know more about the week’s topics. How can Classroom Character be used at schools? 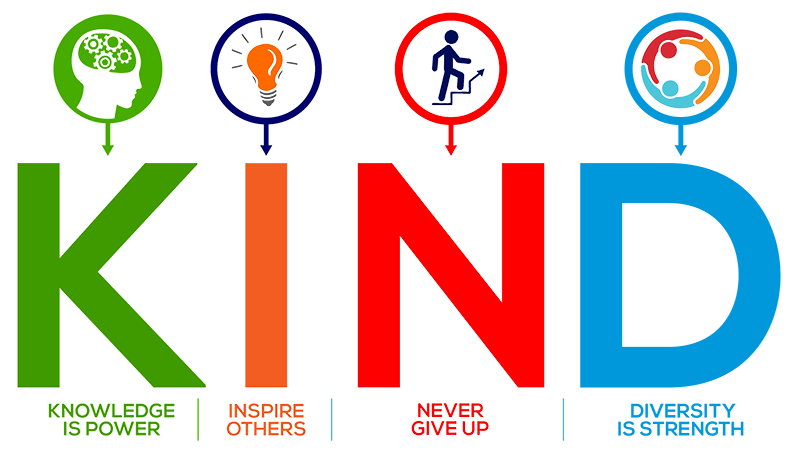 Our curriculum can be used in various ways and classroom settings, always with a focus on our four pillars of KIND character. Schools have used it as a stand-alone character education program, for in-class assignments, after-school programs, and as a productive and positive approach to dealing with discipline issues. Please contact our team to learn more about how we can work with your school!